Rodolphe Demougeot’s star is on the rise. Based out of Meursault, since 1992 he has assembled nearly 20 acres of vines, many in distinguished Premier Cru vineyards of Côte de Beaune. Besides being full of richness and finesse, his wines are a superb value – at least for now. 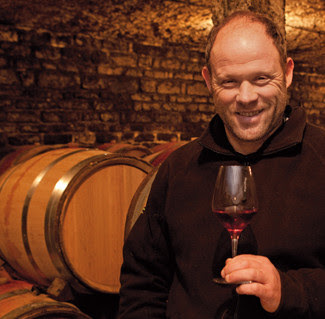 As with all the best winemakers, Rodolphe believes that wine is made in the vineyard. No chemical herbicides, pesticides or fertilizers are applied. He follows the rhythm of the lunar cycle when moving his wines and making picking decisions. He plows his vineyards by horse to aerate the soils. Everything is done by hand and it shows in the wines. Les Vignots vineyard is located on the northern edge of the commune abutting the Premier Cru vineyard of La Chanière. Here Rodolphe Demougeot owns a half-acre plot planted in 1983. Grapes are hand-harvested and sorted. Depending on the wine, up to two thirds of the grapes are vinified in whole bunches, which give a heady perfume to the finished wine, and add a bit of strength and firmness to the tannins. The wine is aged in barrels for 16 months, including 30% new wood, and then three months in tanks before being bottled by gravity according to the lunar calendar. The result is gloriously pure Pommard. Well-muscled but lithe, with aromas of cocoa and tart cherries. Ideal for elegant parties or snuggling near a hardwood fire. 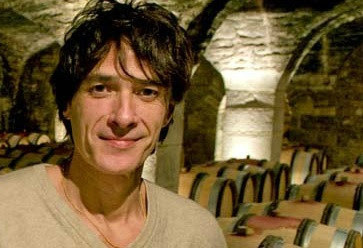 Also available are Rodolphe Demougeot’s Beaune “Les Beaux Fougets”, Savigny-lès-Beaune Premier Cru “Les Peuillets”, and Pommard Premier Cru “Les Charmots – Le Coeur des Dames”. Jean-Pierre Cournut owns some of the best plots in Chassagne-Montrachet and is considered one of the finest producers in the village. We still have a handful of his red wine from the 2002 vintage and they are presently singing – a testament to the power and longevity of Chassagne-Montrachet in the right hands. With cellars dating back to the fifteenth century, the domaine covers around 37 acres, the majority in the Premier Cru of Maltroie, including the walled Clos de la Maltroye that’s named after the Château. The domaine has enough vineyard holdings for two barrels per year of Bâtard-Montrachet Grand Cru as well as small Premier Cru plots in Les Grand Ruchottes and La Romanée, the former producing wines of steely minerality, the latter producing wines with a richness that rivals many a Grand Cru. 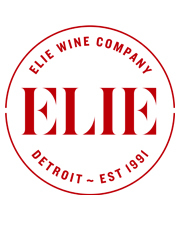 We have a handful of each of these highly allocated wines also available at Elie Wine Co. In the vineyards Jean-Pierre employs la lutte raisonnée (the reasoned struggle), intervening only when absolutely necessary to the health of the vines. Grapes are harvested and sorted by hand. The Chardonnay is slowly pressed using a pneumatic press and after low temperature fermentation transferred to barrel. The percentage of new oak varies depending on the appellation with wines seeing around 30% to 100% new oak aging depending on the potential of the vineyard. Château de la Maltroye Chassagne-Montrachet is loaded with ripe yellow fruits and citrus. There is exceptionally good concentration for a village level Chassagne-Montrachet as the round and rich flavors possess impressive size and weight while retaining good balance and length.